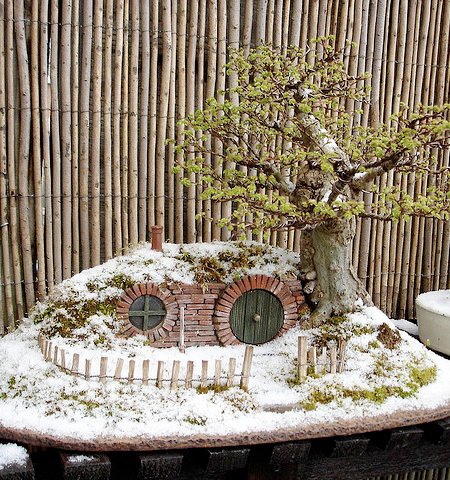 Unique bonsai tree with small house built into the side of a hill created by mechanical engineer and bonsai artist Chris Guise. 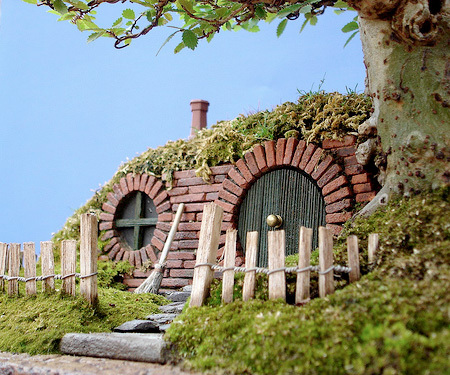 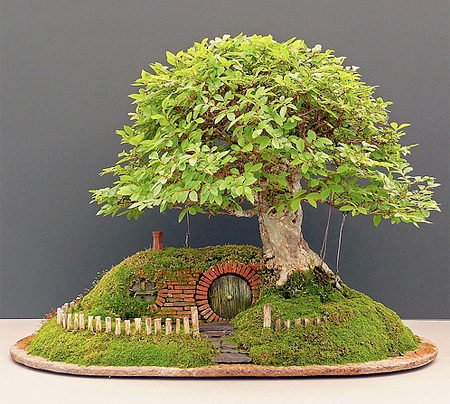 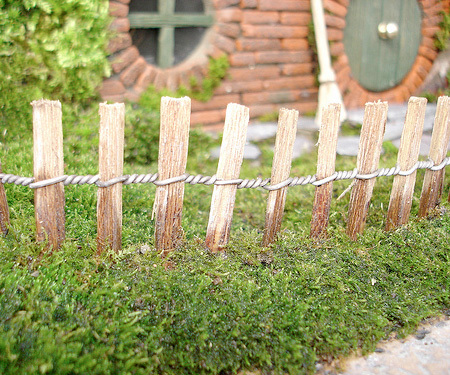 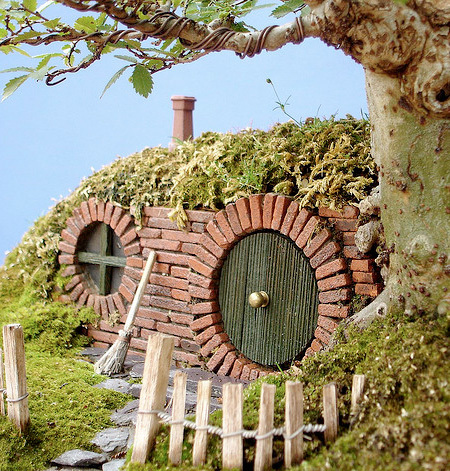 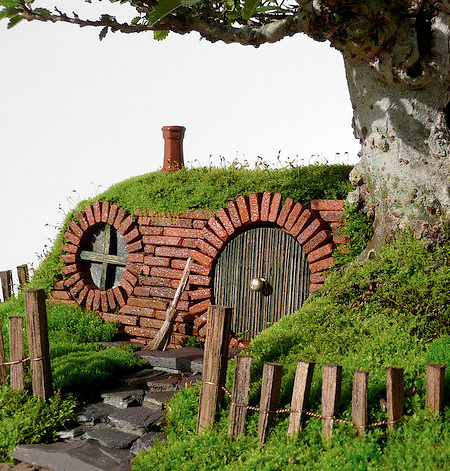 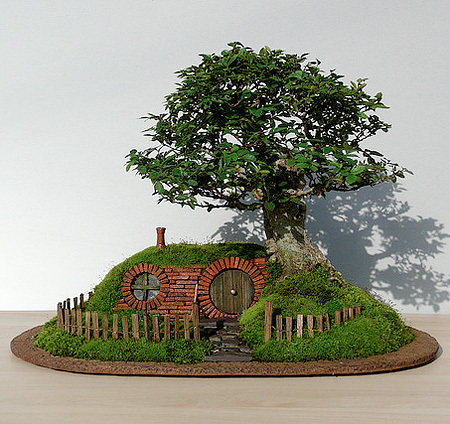 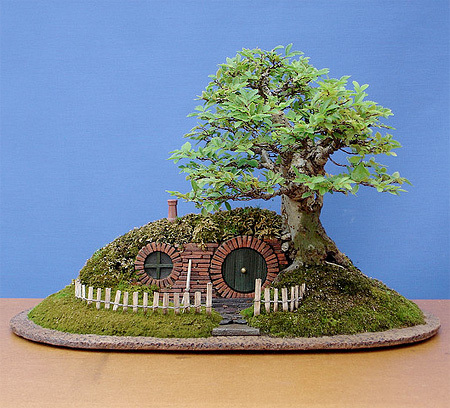 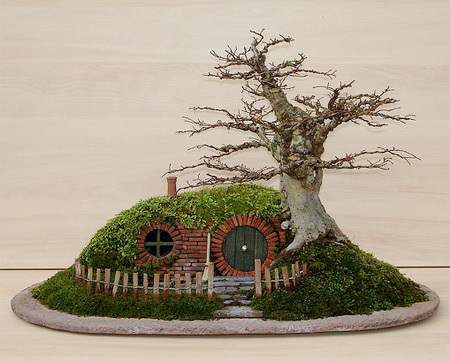 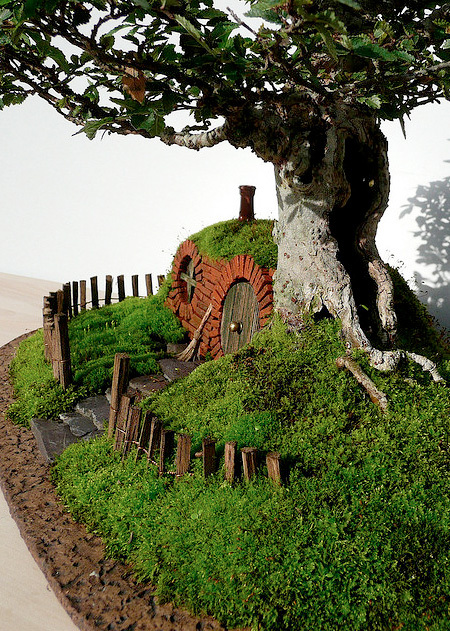 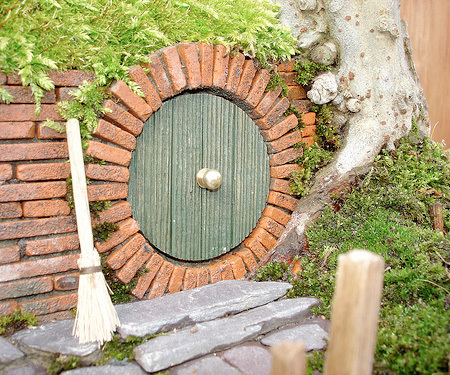 Detailed replica of Bag End house from The Hobbit and Lord of the Rings. 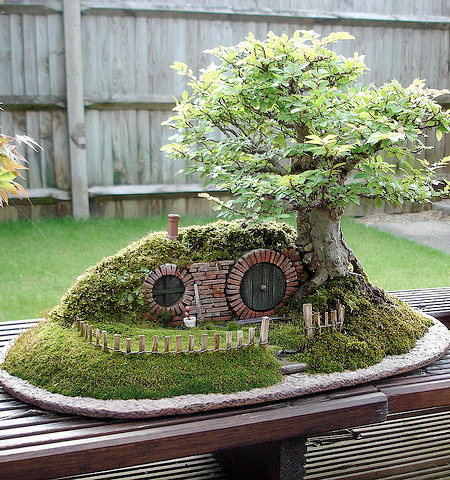 Hobbit Bag End Bonsai Tree photos by Chris Guise, Bonsai Empire. 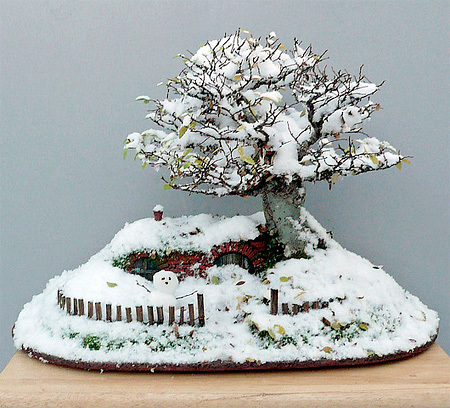 Cute, I love the one covered in snow.